Currently, people planning to visit to the island have to travel by road to Harwood Point (Lot 8 Jetty) in Kakdwip and cross the Muriganga by ferry. 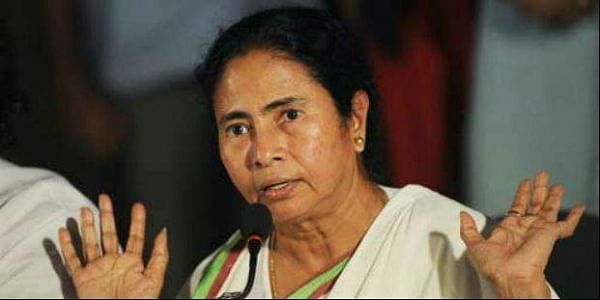 KOLKATA: West Bengal Chief Minister Mamata Banerjee on Wednesday said the state has agreed to provide 74 per cent stake to the Central government in the Special Purpose Vehicle (SPV) to develop the Tajpur deep sea port in the state, after getting an assurance that the Centre would build a bridge across the Muriganga river between the mainland and Sagar Island. "We have agreed to give 74 per cent stake to the centre in the Tajpur port (project) on condition that the Central government would build a bridge across Muriganga river and now, they have agreed to build the same," she said while addressing the inauguration of Krishi Mela (Fair) at the Sagar Island. Currently, people planning to visit to the island have to travel by road to Harwood Point (Lot 8 Jetty) in Kakdwip and cross the Muriganga by ferry. Vehicles are taken across in barges but the movement of vessels is governed by tidal movement. Earlier, the state and Kolkata Port Trust, an autonomous body under Union Ministry of Shipping, had formed a 74:26 per cent joint venture for building the Bhor Sagar Port in South 24 Parganas district. Subsequently, the state government's insistence on building Tajpur as its project had stalled the project over viability concerns. Incidentally, the Central government had wished to take 74 per cent stake in the proposed SPV for building the Tajpur port and it had expressed concern that the proposed project would be unviable if the it comes without partnering Kolkata Port Trust. KoPT Chairman Vinit Kumar had recently said Tajpur port would come up in the first phase, and Bhor Sagar port in the Sagar island in the second phase. According to Kumar, the special purpose vehicle (SPV) for the Bhor Sagar project would be the "implementing agency" for the Tajpur port for the "time being" because the SPV for Tajpur project was yet to be formed.